Paweł Sobkowicz is Deputy Director for Innovation and Commercialisation at the National Centre for Nuclear Research, Świerk, Poland. 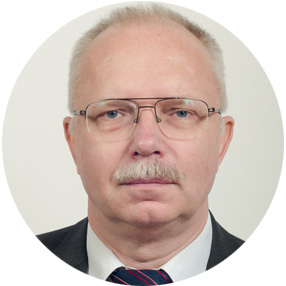 PhD in theoretical physics, between 1982 and 1993 he worked at the Institute of Physics, Polish Academy of Sciences. Author of 56 research papers, cited over 400 times. Since 1993 he has been a member of management teams of several high-tech companies, both international (Silicon Graphics Inc. Network Appliance Inc., Fujitsu-Siemens Corporation, Bull) and Polish. Since June 2012 he has joined the National Centre for Nuclear Research, with the task of managing the technology transfer processes and management of commercialisation efforts. The experience gathered during the 20 years of commercial career covers many aspects, including human resources management, financial planning, sales management and general understanding of the decision processes in commercial environments. It is especially important in the context of efficient cooperation between the research communities and industry – the differences in language which is used by both communities is one of the most important factors slowing down or inhibiting successful commercialisation. This experience complements the understanding of methods typical for research processes, with their inherent risks and uncertainties, as well as practical aspects of doing science.